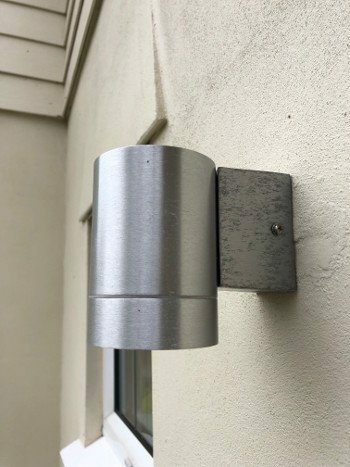 Leigh Electrical recently received a call from an existing customer who had purchased a new outside light which required connection and installation. Following the call requesting installation, one of our electricians was dispatched following the completion of their current job and managed to have the light successfully and safely installed within two hours of the call being made. This level of response and service is typical of Leigh Electrical and with over 50 years experience of installing outside lighting, our customers can be rest assured that the installation will be completed promptly and safely. 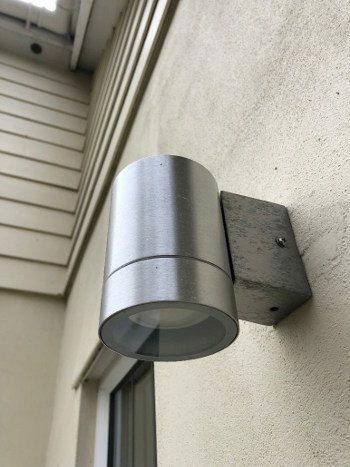 In this instance the customer had purchased the light fixture themselves however Leigh Electrical are able to assist their customers in sourcing any form of external lighting they may require. To learn more about our outside lighting service please follow this link to our external electrics service page or call our office directly on 01702 873350. 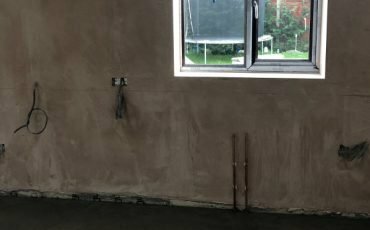 External Lighting Installs in Leigh – Why Leigh Electrical? 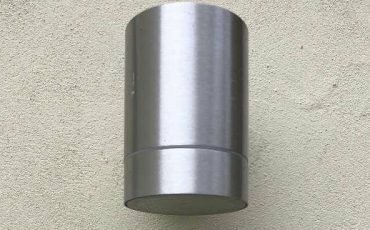 Leigh Electrical have considerable experience in performing external lighting installations throughout Leigh-on-Sea and the surrounding Southend area. We have a superb reputation for performing all manner of domestic electrical work and this is exemplified by the hundreds of five star reviews we have received on both Checkatrade and Trustatrader. 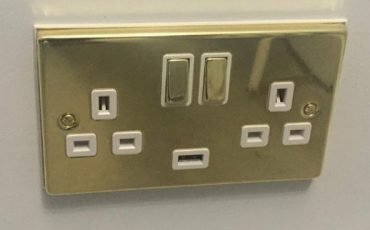 All of the domestic electrical work completed by Leigh Electrical is covered under our NICEIC Platinum Promise Guarantee. Leigh Electrical have held NICEIC membership for over 15 years and NICEIC membership is often considered to be the highest standard of electrical accreditation in the UK. The Platinum Promise guarantees all of the work completed by NICEIC members for a full 6 years following completion. Our electricians operate 7 days a week in and around Leigh-on-Sea and provide free no obligation quotes. Outside lighting installation in Leigh-on-Sea, Essex. All work covered under the NICEIC Platinum Promise 6 Year Guarantee. For further information please call us directly on 01702 873350.